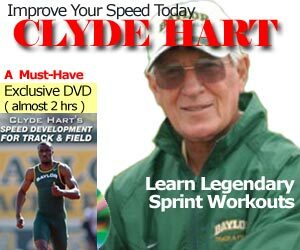 Sub 45 seconds is the Holy Grail of 400m sprinters. When you can say your PB is 44 point… nobody cares the rest of the decimal numbers, whether it’s 44.1 or 44.9. 44 point is 44 point. As a 17 year old, Akeem Bloomfield ran 44.93 for 400m at the 2015 Champs in Jamaica. It was a National Junior record, but not quite a World Junior record, which is held by Luguelín Santos. But he broke Javon Francis’ meet record of 45.00 seconds set only last year! 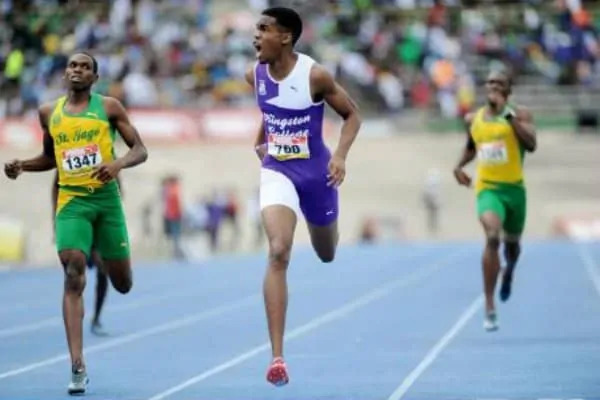 Jamaica is showing a lot of talent in developing 400m sprinters, including Christopher Taylor’s 400m Age Group World Record for 15 year old, but where are they at the world elite level? We’ve seen Jamaica win 1-2-3 at the Olympic 200m level, but shouldn’t we see this for 400m like USA? His race plan was flawless. Get in front of everyone at 250m and let everyone catch you. He had to run the last 100m hard, and he even dipped for the line. That earns my respect. If he didn’t, he would have run 45.01 and not break either records!